When Congress passed a $36.5 billion disaster relief bill in October—an attempt to help Americans rebuild their lives in several wildfire and hurricane-damaged areas—it gave Puerto Rico a $4.9 billion loan instead of the grant that other areas received. 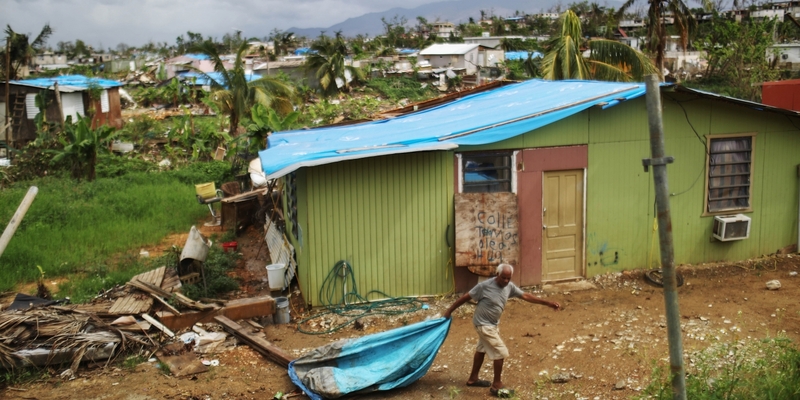 Now, according to the Intercept, it looks like the debt- and hurricane-ravaged island won’t even get THAT money. El Nuevo Dia, Puerto Rico’s daily newspaper, says the Federal Emergency Management Agency and the Treasury Department informed the Puerto Rican government on January 9 that they will not disburse the loan through the Community Disaster Loans Program, because it learned that Puerto Rico had a cash balance on December 29 of last year of $1.7 billion for ongoing operations. The letter also cited $6.875 billion scattered in various local government accounts. Since the loan was supposed to fill a gap in day-to-day funding, FEMA somehow determined that Puerto Rico, which remains utterly devastated from the hurricane, does not need the money at this time. FEMA says funds will be disbursed as soon as the “central cash balance decreases to a certain level”—then never specified what that level is. The Puerto Rican government says its state-run power and sewer companies will exhaust funding this month. Nearly half of the island’s citizens remain without power. With FEMA and the Treasury refusing to release government-approved loans, it’ll be difficult for the Puerto Rican government to float money to the power and sewer companies.